Conveyors and Plastics, Inc. opened its doors in 1989, distributing Intralox belts, supplying plastics, and fabricating precision conveyors. Since then, we have expanded to fabricating all metals. (stainless; carbon, aluminum, copper, brass, etc.) Designing and fabricating conveyors is still a large part of our business; however, we are just as skilled fabricating rails, mezzanines, stairs, catwalks, hoppers, augers, ductwork, and more. Owner and Vice President, Ken Peruchi, began with one of the top poultry producers and has acquired over 30 years of sheet metal and mechanical engineering experience. His understanding of conveying projects and experience integrating conveyor systems with preexisting equipment is why we are one of the top conveyor manufacturers in the country. We will take on your project and save you money in the process with our state-of-the-art fabrication equipment. Family-owned and operated, Conveyors and Plastics has a 16,000 sq. ft. manufacturing facility on the Eastern Shore. 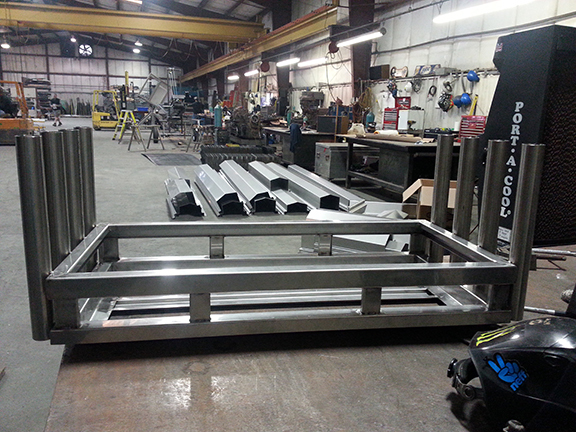 If you have a project, Conveyors and Plastics, Inc. can handle your custom fabrication needs. For example, cooler racks are as personal as your vehicle. Give us the specifications and we will design a cooler rack that perfectly fits your truck, your cooler, and your trip! 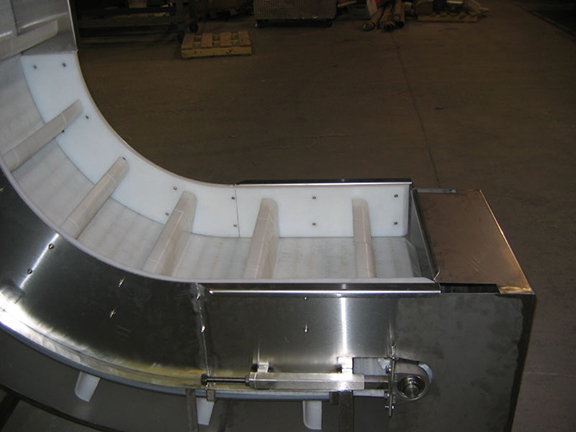 Conveyors and Plastics, Inc. specializes in the design and integration of conveyors and sortation equipment. We understand that custom designed and “one-of-a-kind” solutions will be necessary to meet your goals and assist in determining what best suits your needs.